Nicholas Katzenbach, Acting Attorney General, et al. v. Ollie McClung, et al. 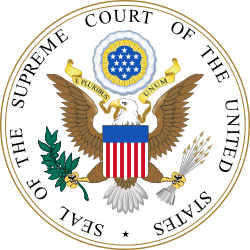 Katzenbach v. McClung, 379 U.S. 294 (1964), is a United States Supreme Court case in which the Court unanimously held that Congress acted within its power under the Commerce Clause of the United States Constitution in forbidding racial discrimination in restaurants as this was a burden to interstate commerce. Ollie's Barbecue was a family-owned restaurant that operated in Birmingham, Alabama, that seated 220 customers. It was located on a state highway and was 11 blocks from an interstate highway. In a typical year, approximately half of the food it purchased from a local supplier originated out-of-state. It catered to local families and white collar workers and provided take-out service to African American customers. Congress passed the Civil Rights Act of 1964 outlawing segregation in American schools and public places. One section of the act, Title II, was specifically intended to grant African-Americans full access to public facilities such as hotels, restaurants, and public recreation areas. On the same day, the Supreme Court heard challenges to Title II from a motel owner and from Ollie McClung. Both claimed that the federal government had no right to impose any regulations on small, private businesses. Both ultimately lost. Ollie McClung had won an initial round in the United States District Court for the Northern District of Alabama when he received an injunction preventing the Government from enforcing Title II against his restaurant. But then Attorney General Nicholas Katzenbach appealed this decision to the U.S. Supreme Court. McClung argued that the Civil Rights Act was unconstitutional, at least as applied to a small, private business such as his. McClung further argued that the amount of food purchased by Ollie's that actually crossed state lines (about half of the food at Ollie's) was so minuscule that Ollie's effectively had no effect on interstate commerce (although McClung admitted that a significant amount of Ollie's business was to interstate travelers). Consequently, McClung argued that Congress had no power to regulate Ollie's Barbecue under the Commerce Clause. Justice Clark wrote the majority opinion, with concurrences by Justices Black, Douglas, and Goldberg. In section 2 of the opinion, the Court agreed with McClung that Ollie's itself had virtually no effect on interstate commerce. In section 4 of the opinion, the Court held that racial discrimination in restaurants had a significant impact on interstate commerce, and therefore Congress has the power to regulate this conduct under the Commerce Clause. The Court's conclusion was based on extensive Congressional hearings on the issue. The Court cited testimony that African Americans spent significantly less time in areas with racially segregated restaurants, and that segregation imposed an artificial restriction on the flow of merchandise by discouraging African Americans from making purchases in segregated establishments. The Court gave the greatest weight to evidence that segregation in restaurants had a "direct and highly restrictive effect upon interstate travel by Negroes." In Section 5 of the decision, the Court affirmed previous decisions that Congress has the authority to regulate local intrastate activities if the activities significantly affect interstate commerce in the aggregate, citing United States v. Wrightwood Dairy Co., Wickard v. Filburn, Gibbons v. Ogden, and United States v. Darby. ↑ The Court's opinion makes reference to "Negroes," not "African-Americans." ↑ Ollie's BBQ closes, but the sauce will live on, Birmingham Business Journal, Friday, September 21, 2001.